← Deliberations of the Cross: The Originalist and Passion Play, reviewed. I wrote this fun piece for my day job. It appears in our May 2015 issue of Air & Space / Smithsonian, now on sale at Barnes & Noble and other fine booksellers and newsstands, as well as the National Air & Space Museum. It’s our 70th anniversary of V-E Day issue, which – because it’ll be out in time for the Arsenal of Democracy Flyover on Friday, May 8th (the actual anniversary) – includes pull-out Spotter Cards you can use to identify the silhouettes of the two dozen vintage warbirds that’ll be buzzing over your head a few minutes past noon if you come down to the National Mall on that day. 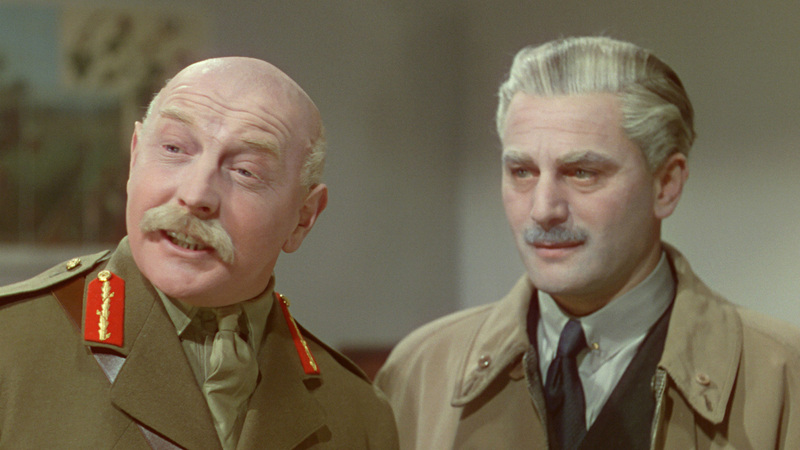 For the record, I do think William Wyler’s The Best Years of Our Lives is the greatest of the films I surveyed – if not the greatest flying movie – save for Michael Powell and Emeric Pressburger’s 1943 masterpiece The Life and Death of Colonel Blimp, which I had occasion to mention only fleetingly. Mark Harris’s book Five Came Back was an invaluable resource for me while writing this story. This entry was posted in movies and tagged aviation, Emeric Pressburger, Frank Capra, George Stevens, John Ford, John Huston, Mark Harris, Michael Powell, movies, Smithsonian Air & Space, William Wyler, World War II. Bookmark the permalink.